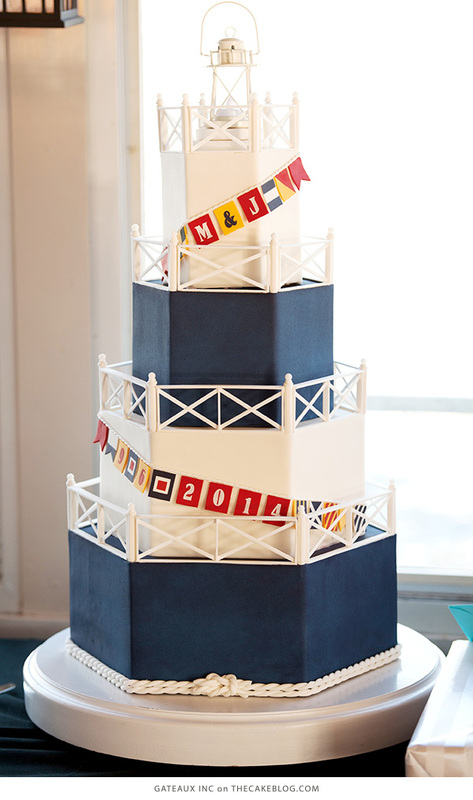 Created for a riverboat reception, this lighthouse themed nautical cake by Robin Martin, owner of Gateaux Inc., includes amazingly tiny white railings, posts, and nautical flags which, of course, are all edible! 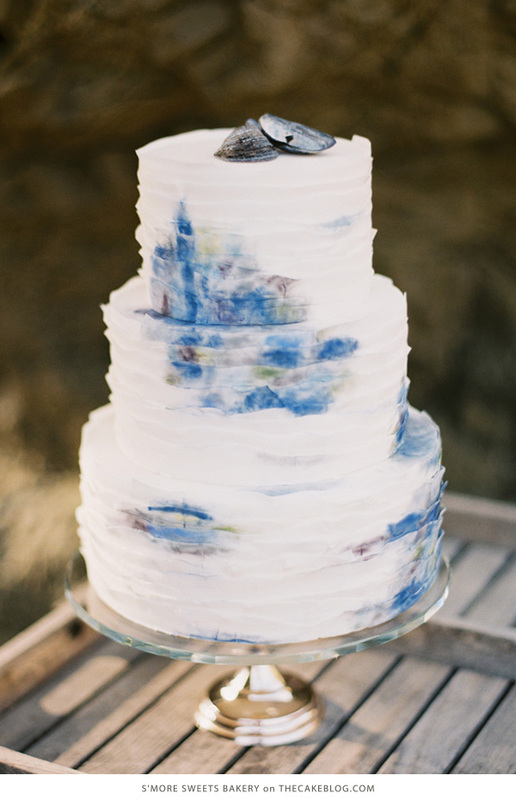 (Photography by Corinna See Photography). 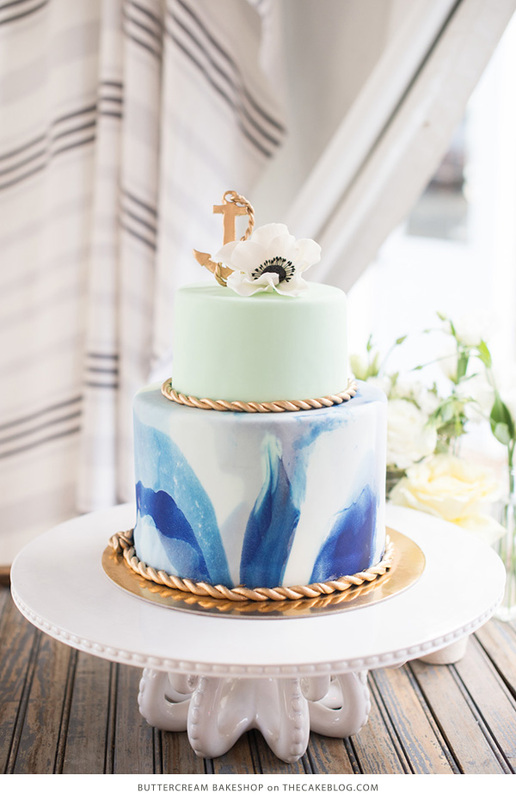 Some really gorgeous inspirational cakes! 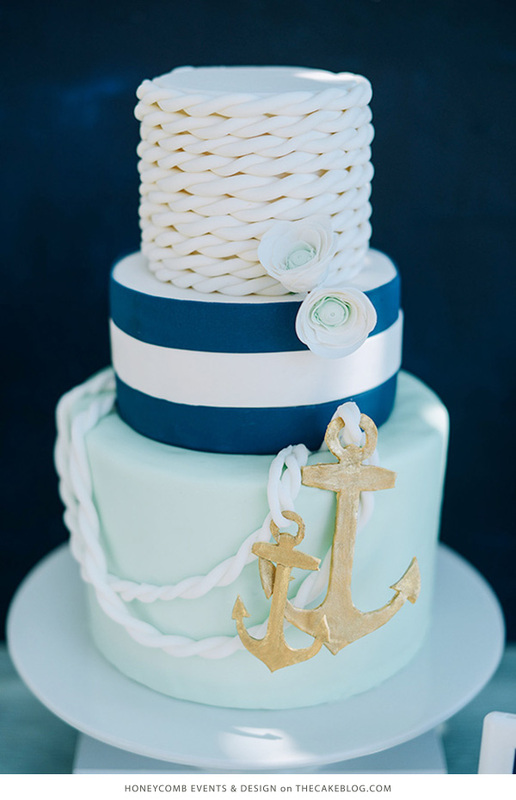 I have just made some anchors from florist paste and it was much harder than I imagined it would be. 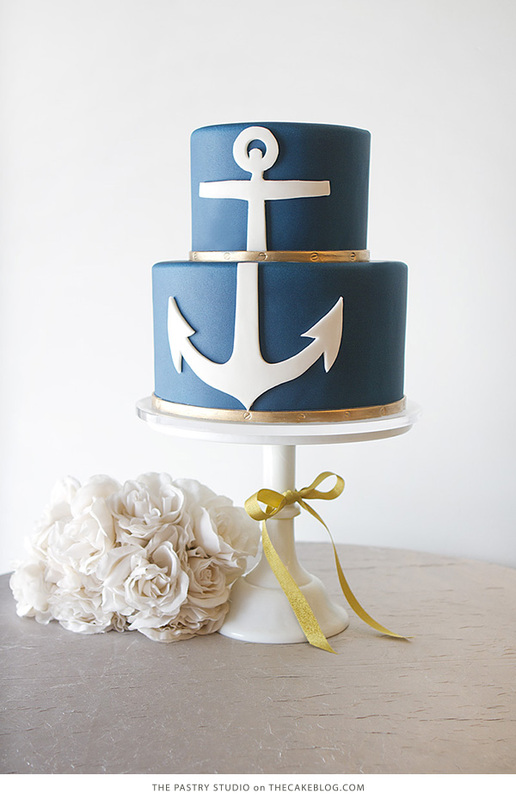 It would be amazing to find an anchor cutter! 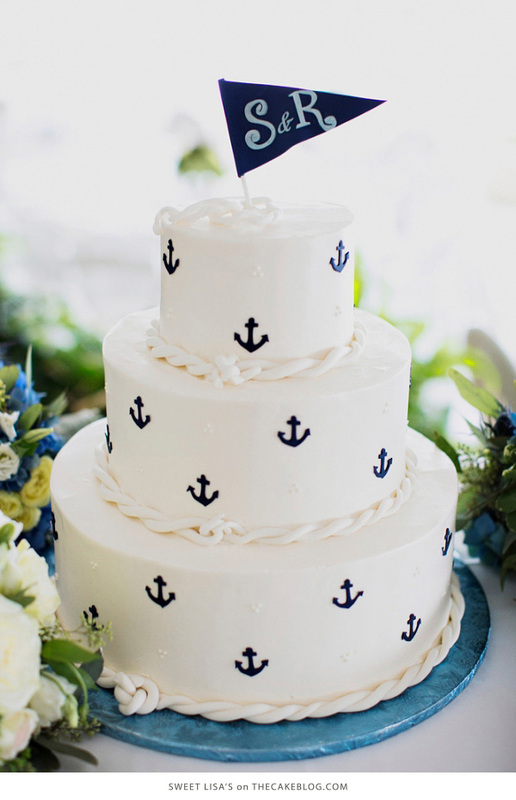 Thank you for sharing this beautiful selection! 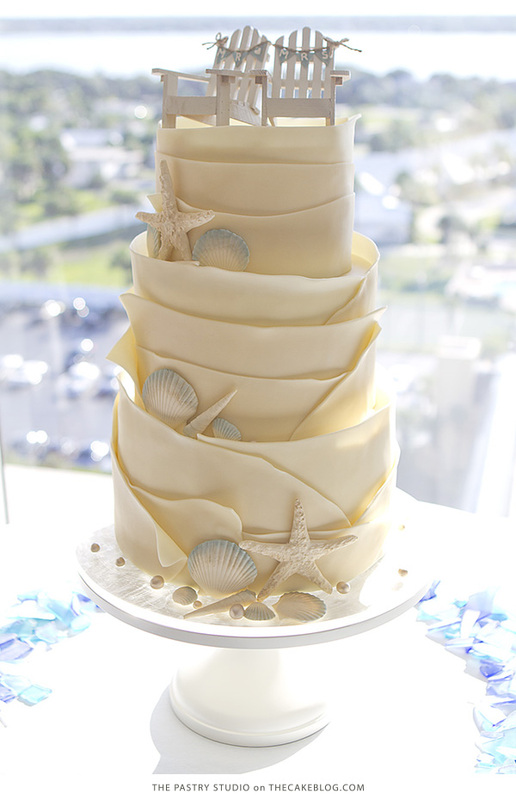 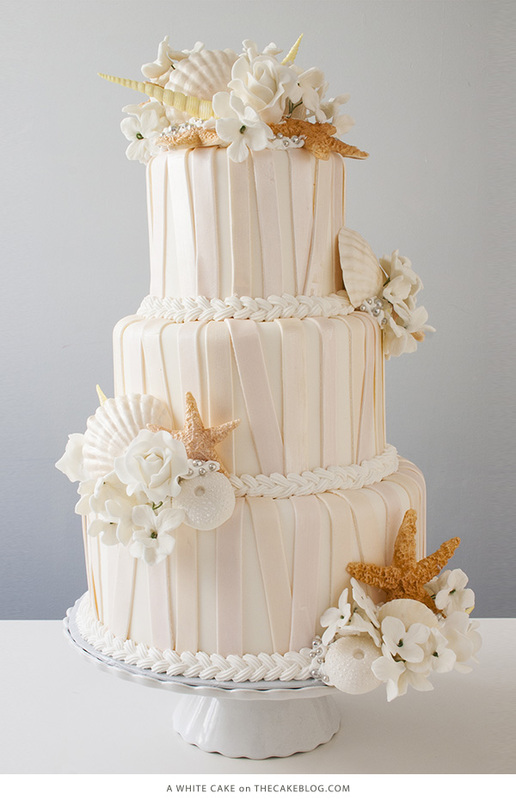 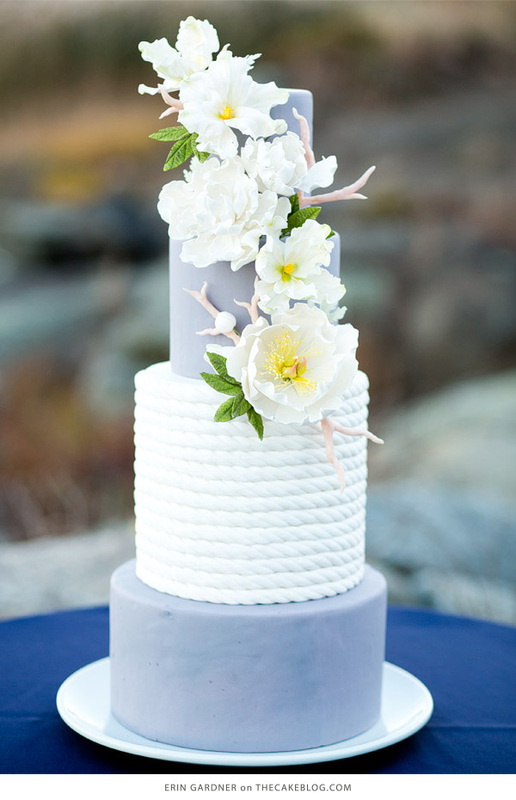 I very much like the cakes with the shells, especially the last one – it looks very classy with the sea stars and white flowers.